Dr. Karen G Reiss Medwed is Associate Teaching Professor in the Graduate School of Education and the Assistant Dean of Academic and Faculty Affairs in the Graduate School of Education. She teaches and chairs doctoral theses in the EdD program as well. Dr. Reiss Medwed has 20 years of experience in education, continuing education, online education, faith based education and higher education. 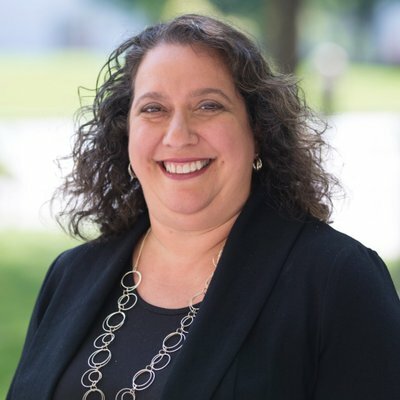 Dr. Reiss Medwed earned her Ph.D. from New York University’s Steinhardt School of Education in Curriculum, Teaching and Learning with a specialization in Jewish education. She was also a Steinhardt Fellow for the four years of her doctoral studies. She went on to design and develop a Master of Education program in Faith Based Education at the University of Pennsylvania’s Graduate School of Education. In the years following she served as Dean of Faculty for Prozdor at the Hebrew College as well as Director of Online Learning for Faculty at the Hebrew College, while she was an Assistant Professor there. She joined the faculty of the Graduate School of Education of the College of Professional Studies at Northeastern University in 2011. Courses taught include research methods, proposal development, transforming human systems, curriculum leadership, and faith based education. Assistant Dean Academic and Faculty Affairs, Graduate School of Education, CPS, Northeastern University, Boston, MA. Associate Teaching Professor, Graduate School of Education, CPS, Northeastern University, Boston, MA. Assistant Professor, Hebrew College, Boston, MA. Dean of Faculty, Hebrew College, Boston, MA. Parenting Teens Curriculum Editor, Hebrew College, Boston, MA. Director Religious Education, Graduate School of Education, University of Pennsylvania, Philadelphia, PA. Visiting Adjunct Assistant Professor, Graduate School of Education and College of Arts and Sciences, University of Pennsylvania, Philadelphia, PA.